A leading choice in university programs and music studios around the world this student-centered approach uses analysis, creativity, and expression to develop a musical mind and heart. 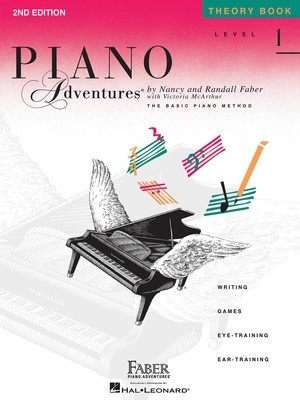 The delightful, pianistic pieces and creative theory pages, combined with an outstanding technical approach encourage practice and progress with adventure! The 2nd Edition Level 1 Theory Book provides important reinforcement and creative application of basic theory concepts. Students will enjoy note-naming with StoryRhymes, exploring improvisation, and engage with eye-training and ear-training activities all within a fun-filled context tied thematically to the Book 1 Lesson pieces.